Thanks for posting a link to my site on your webpage! discussing the launcher here. 2 short (300kB) videos can be downloaded from here. The clip holds 2 Enola Gaye smoke grenades and attaches to the barrel of all popular guns. James also said “our competitors product will not fit these clips however we expect them to follow the market leader and modify the size of their product to fit." G&G – the responsible Airsoft company. 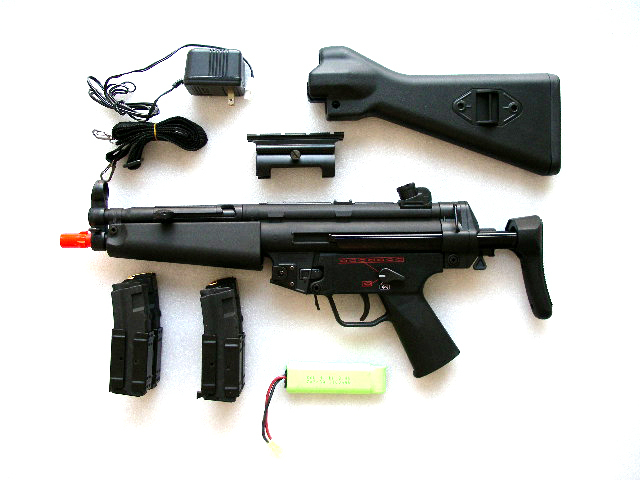 We have finally developed a GR16 gearbox that is perfectly 100% compatible with Tokyo Marui. To celebrate this event and share this good event with our customers we are issuing a worldwide recall of all GR16 gearboxes. HOW TO SEE THE DIFFERENCE: The NEW GR16 gearbox will have our name ‘G&G Armory’ printed on the side somewhere. The OLD gearbox has NO print. Stock update and special deals: In the next couple of weeks we will have the much anticipated CA M249 PARA at �749.99. Pre-order is now available on our website and over the phone. As a special deal with each pre-order we will provide a new 8.4v 3600mah Nimh Sanyo battery (can be stored in the box mag, you will need it!) worth �44.99 free of charge! So get in now if you are interested as initial stocks will be limited. As it is now the end of the season and what is becoming customary, we are having a few specials to get rid of a bit of kit. All prices are while stocks last so they won�t hang about for long. Sergio over at ClassicArmy Italia has sent over some shots of the new released CA249P. They now have the new model in stock and ready to go out to all their dealers. On the subject of ClassicArmy products, they’ve added some branded multifunction tools to their stock lists as well. The quality doesn’t look amazing, however I don’t expect the price will be astounding, especially seeing as you can get pretty much the same thing (without the toolbits) from the local fuel station of DIY shop for about 5-8UKP. There’s also a black skirmish mask, and a black lens for that mask listed too. I’ve been having a chat with Walter, (Airsoft GI) about the latest with him. He’s got a sample of the KingArms distributed Atozcargo Dragunov SVD in with him at the moment (the lucky guy). The new rifle clocks in at 450fps on test and he’ll have them in stock in or around December. AirsoftGI will be stocking the new rifle with wood stock/grips and a spare magazine. An exact price for the SVD isn’t known yet but it’s estimated to cost around 550USD. 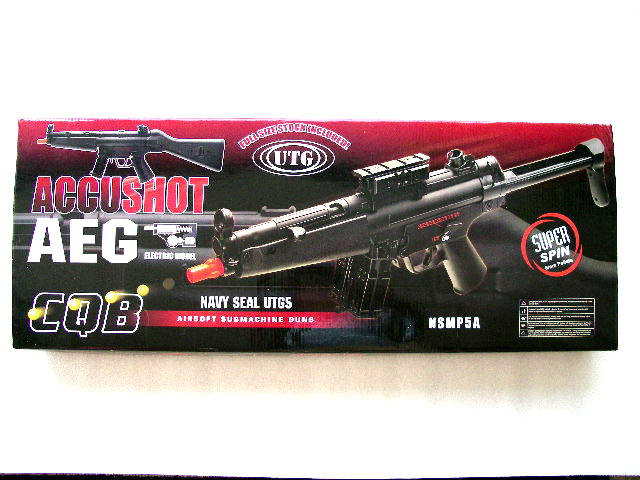 Also over at AirsoftGI they have the HFC VSR-10 in stock now. 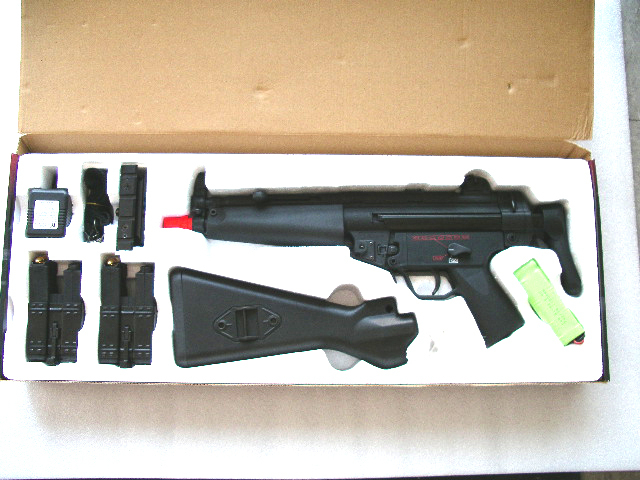 The HFC model is an exact copy of the Marui model, however they’ve improved the quality and durability of several part over the original Marui spec. Price for the HFC model is 149.99USD which isn’t bad at all. The Elite Force: Built and designed with a true understanding of the demands of military use, the stunning range of tritium illuminated timepieces from Nite offer military professionals the ultimate in durability and performance sports watches. Designed to withstand the rigours of military use, every Nite watch features multiple Gaseous Tritium Light Sources (GTLS) to provide hands-free dial illumination without requiring batteries and ensures the watch can be easily read at any time � day or night. Add in solid stainless steel cases, sapphire crystal glass, analogue and chronograph options and water resistance to 200 metres (100m on MX10) and you are left with the perfect timepiece for military use. Watches so tough, that the Nite MX10 (pictured) is already issued to UK special forces (NATO Stock No. 6645-99-133-5227). Both MX and GX ranges include a variety of dial colours and strap options. There is also the reassurance of a 2 year guarantee on each watch and 10 year guarantee on the light source. RRP ranges from �139.95 to �399.95. Someone asked that if I saw the Lightning 27mm pistol launcher on the web to post about it, so I’m keeping that promise. Echigoya have a selection of nice bits in stock (you should be able to source stuff found on their Japanese pages from their international shop or drop Shane a line there at sales@echigoyaint.com). Somehave been around for a bit but have not been in stock, others are completely new. There’s some similar versions of the Magpul rail covers made by Trigger Happy, the lovely VegaForce CA870 stock set, a HUGE moscart shell (again from VegaForce), there’s also an AICS style stock from Five-O for the VSR10 range. I think I mentioned it before (in the magazine cuttings posted earlier this month), but they also have the Factory Brain front handguard grips in stock now. Redwolf Airsoft is proud to be the official distributor for Systema. Their latest product coming shortly is the new Systema all-in-one gearbox (Systema Complete Mecha Box). This new gearbox comes in both version 2 & 3 gearbox versions and is suitable for the M16, MP5 and G3 range of AEGs. powered units. This will be a limited production. clarification of the definition of a “realistic imitation firearm”. The new definition excludes antique imitations; imitations of firearms made prior to 1870; and deactivated firearms, provided they have been inspected by a Proof House as provided under the 1988 Act. an increase in the age limit for sale, acquisition, etc. of crossbows to 18. This Dragunov SVD finished in high quality level. The excellent dimensioned air cocking system well calibrating with the precise inner barrel gives BBs shoot in a straight path. Every fire hits the target accuracy. Air cocking system is regulated. The air cocking system with minimal leakage lets the power fully push on the BB. More power on every shoot! JAG Precision now have the UTG MP5 back in stock at their dealership. These rifles come in at a retail cost of around 115USD per unit (I’m not privvy to the trade cost.. so don’t know on that one), include two magazines, two different stocks and are a copy of the Marui model. If you’re interested in wholesale/bulk purchases to stock your retail outlet please do contact David at JAG using the details on their website.